Recently, Book Riot posted about not breaking the spine of a book. Making a case for it, Edd McCracken proclaimed that if one were to break the spine, it would result in that reader immediately being placed into the "I hate them" category. Which gave me pause. With trepidation, I wandered over to my own bookshelves and looked them over, then turned away, embarrassed. Finally, I looked at my bookshelves, but with a shifty one-eyed glance. When a new book first comes into my possession, all shiny and sweet-smelling, I admit I experience a twinge of sadness if anything happens that mars it any way. 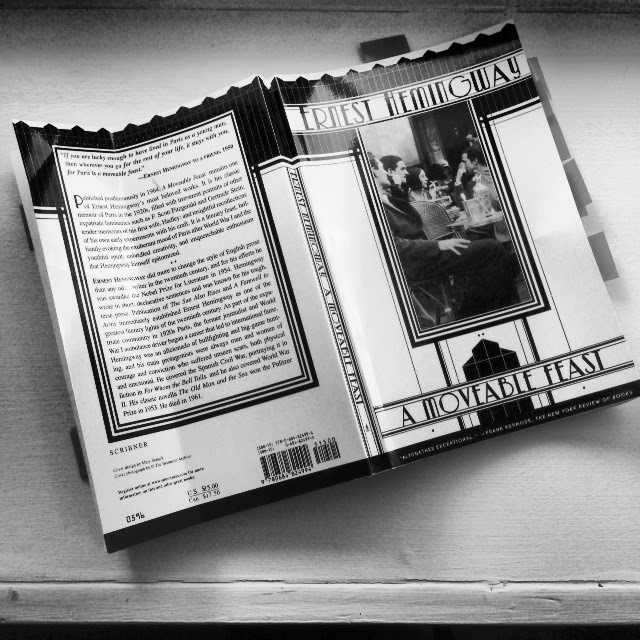 If I place it on the bed and then fall asleep, I will be furious with myself if that act resulted in the paperback falling on the floor at an odd angle, causing the outside of the book to be folded or creased, creating the first blemish. It can be unsettling. I will miserably stare at it, whining to myself, asking how I could have been so careless. But then I get used to the wrinkle and I start to feel comfortable with it. I don't see it anymore. The book itself becomes its own sustainable character to me and I think about how I love roaming through used bookstores, and how much I love the beat-up look and feel of an aged book. Maybe it's a brand new one or, more likely, it's thirty years old or so, but I love it either way. If I love the book, I'm going to keep it in my collection and it's going to be loved and read over and over again. I'll crack that spine intentionally and I will underline sentences. I'll fold the corner of a page to mark my spot and I will be okay with it. Books are not delicate flowers. They are pages of imagination, willing to be thrust into the thick of the danger and adventure of treasured and voracious reading just so the reader can absorb each moment, anxiously paging through and living each word. Dog-earing sections, leaving the book open to a chapter on the bed and cracking the spine, is all the mark of an incredible book. If I see someone reading a book in that condition, I make a note to myself to look that book up. Something kept that reader up late at night, and I want to know what it is. Don't you? On the Reading Docket. And other stuff, like Sherlock. 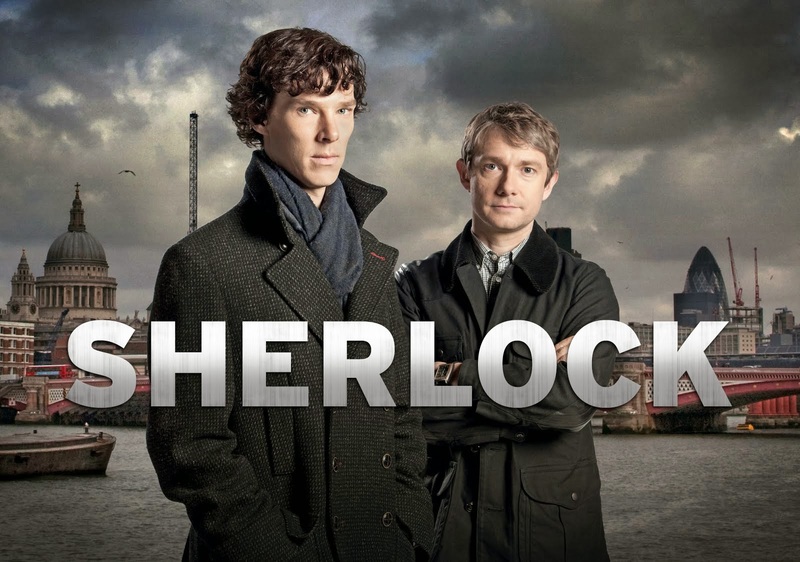 First and foremost... ohmygah, Sherlock comes back to PBS tonight. TONIGHT! Today is an interesting one. Although cold and gray when I rolled out of bed to tend to the little one, it turned into a so-bright-it-broke-my-retina day. I'm still huddled inside, the baby sleeping, and I was just able to make that second cup of coffee (finally! At 2 pm! ), only to jump onto the laptop and figure out how to mess around with the iPhoto Library (which I am NOT enjoying, still. Four years later.) Anywho, I figured since I haven't been reading as much, I should share with you what I am at least trying to read, whenever my new little boss tells me I can have a few minutes to read. 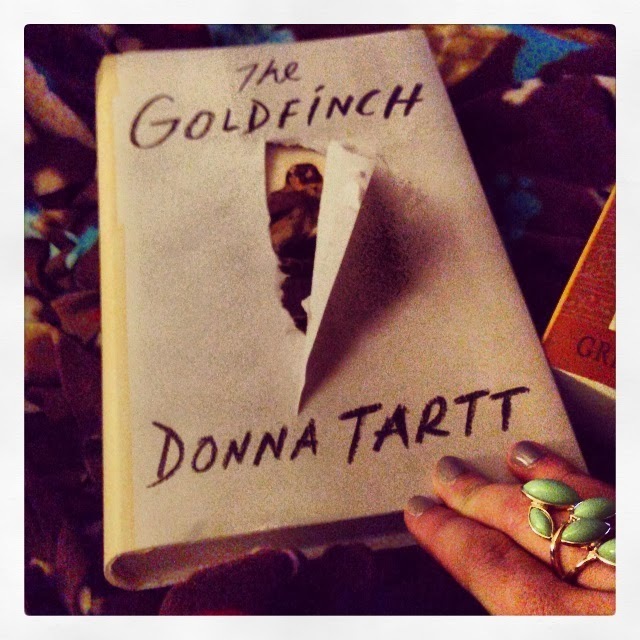 On my nightstand: The Goldfinch, by Donna Tartt. I loved The Secret History, and this is on every reader's love list, it seems. I love the way she writes. She strings words together and it becomes art on paper. On my iPad: The Sun and Other Stars, by Brigid Pasulka. A little slow to start for me, since it seems to focus so much on soccer, but this is key and the writing is beautiful thus far. I received a copy from the publisher primarily because it's set in San Benedetto (my husband's middle name!) in Italy. And you guys all know how much I heart Italy and am trying to move there. On my audio: Well, that category title doesn't make sense. But it suits the list. So anyway, The Snow Child, by Eowyn Ivey. Narrated by Debra Monk. About twenty minutes in and am already mesmerized. And in other news... I've been playing around with the idea of changing the blog up a little bit. More to come on this, but if you've been visiting me here over the past few months, you probably already know what to expect. But hopefully I can still surprise you? The List. Or, Someone Else. When once my house was organized and easily defined with what belonged in which room, it is now no more. I sit in these early morning hours with a sheet on the couch, a blanket, pillow, my phone, and my laptop. There is a bib on the armchair, along with a burp rag. Coffee sits in a cooled cup on the table, lukewarm at best. I try hard not to stare at the dust collecting in one corner. Three months ago, a messy living room would have annoyed me, poking nagging reminders to clean before it got even worse. But this morning, it's hardly noticeable. I am so very happy. There is a sweet baby in the room, happily sucking on his pacifier, swaddled snugly in his "spaceship," as my husband and I like to call it. It gently moves from side to side, and I've picked the "car ride" setting. I hear my son's quiet sleep-laugh, and I smile. In my entire life, I never thought I'd sit here like this. I never thought I'd have children. I never thought I was mommy material. How wrong I was. Only one thing darkens this moment. My notebook. It's open to a page filled with scribbles and outlines almost illegible, notations in the margins, check marks and cross-outs. It's the list of nannies. I dread the notebook. It means I have to pick someone. Someone else who will take care of my son during the day. Someone else who will feed him when he's hungry and hold him when he cries. It means I have to go back to work soon. And even though I work from home, going back to work still means eight-hour days of conference calls, audits, project planning, and worst of all, traveling. Overnights in hotels, far away from the new little love of my life. And so I absolutely must find the right person for my son, the perfect one, that "someone else" who will be the "next-best-thing-to-mommy-and-daddy" that a person can be. Is it possible? I'm sure it is, but... I just don't want to. I want it to just be me and my husband, and that's it. "Someone else" has a lot to live up to. From fear to bliss. 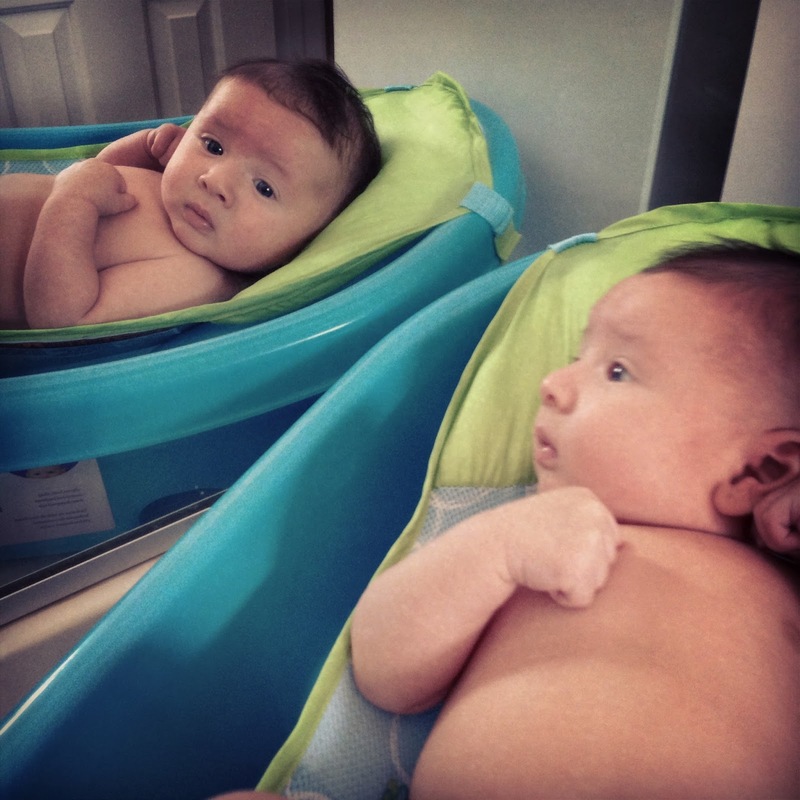 I am a new mom, but an old one. And the things I thought I once wanted in life are now no more. The idea of being a stay-at-home mom never interested me before. A corporate working mom who traveled for business meetings and then rushed home to put her child to bed is what I always envisioned. Not because of the supposed glamor of it all (is it, really? ), but because I thought I'd find equal value and joy in a corporate job, and that I would find satisfaction in balancing that with a child. But now, in my late thirties/early forties (not telling you which), all I want to do in life is to raise my baby. I can't even believe it. I can't believe I have a beautiful baby that makes me question my life's choices for the future and I can't believe that I want to be home with him. I still shake my head that the only reason why I wake him up after a two-hour nap is because I want to see his beautiful eyes and hang out with him. I know I should let him sleep a little longer, but two hours of him sleeping makes me miss him! Friends from fifteen years ago never would have thought this about me. They'd probably laugh if they read this post. Not probably. They would. I want to guide him and protect him and love him, and be the one he comes to when he needs a hug. I don't want someone else to do that while I am gallivanting about trying to write the proper corporate email. Sadly, it doesn't make sense for me financially to be a stay-at-home mom. I need to keep working because of a silly little thing called bills and saving for the future, so it's such a battle for me internally to know what needs to be done, but dreaming of something else. Didn't I do all that daydreaming when I was a kid? But one day, one day soon? I desperately hope something comes along that doesn't require the same amount of travel or stress. I've done the corporate life for fifteen years. I feel confident I can choose a different path and my self-esteem won't crumble in the least bit. So today is a cold morning. The reality of maternity leave coming to an end soon looms over me. But I have a hot cup of coffee right now. A good book. And a very, very sweet baby to curl up with. 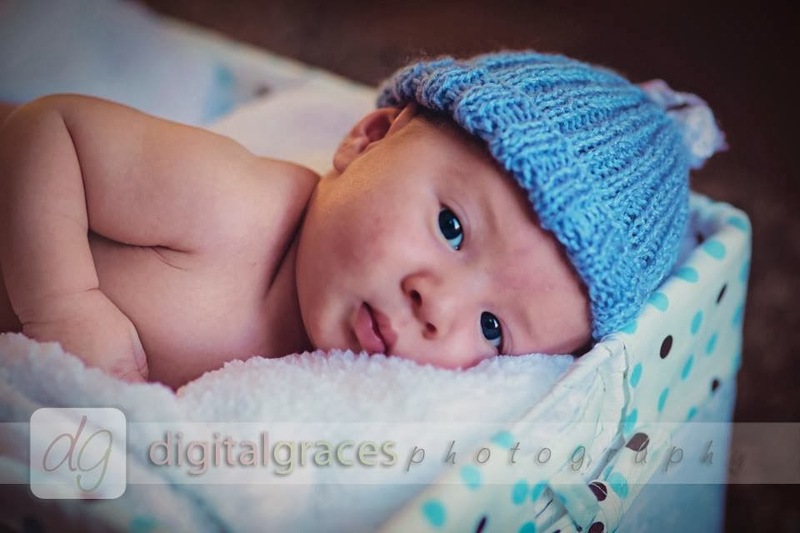 How can I not want to be a stay-at-home mom when I look at his sweet face? Well, if I ever wanted to start off the New Year with just the right type of creepy story, I did myself right by picking NOS4A2 by Joe Hill. You know I love me a scary book, right? The sort that chills the back of the neck and makes me doubt the shadows when I get up in the middle of the night? Originally, I started this in October thinking it would be perfect for Halloween and simultaneously help take my mind off severe back pains caused by pregnancy's third trimester. It was, but three weeks later, I gave birth to my first baby, and I had to put the book back on the shelf. After all, every three-hour feedings for the new little one had to take a priority. Young Victoria McQueen learns that when she rides her bicycle through a beat-up old bridge no one uses anymore, and thinks of things just right, she can ride right through and end up exactly where she needs to be. It's how she finds the odd and occasional missing item and whether it's right around the corner or a thousand miles away, Vic can use her bicycle and bridge to get there to bring that lost item back home. Harmless though it may seem, one day it was going to be deep trouble she'd find herself in. Charles Manx has a way of skipping into his own mythical highways and bridges to get to Christmasland, a place where it's Christmas all day, every day. It's the place where he brings the kids he's been kidnapping for years and Vic happens to be the only kid who's ever been there and escaped. When Manx kidnaps her own son years later, Vic knows it's time to go back to the land she's always tried to forget, but never could. Never being one to sound New York Times-y, I have to write that Joe Hill is just freakin' awesome. His writing is absolutely fluid, beautiful and descriptive, and there isn't one thing left unanswered or unmentioned in NOS4A2. And while there is a serious journey to bring her son back home, there is also a beautiful and painful love story between Vic and a hero named Lou that broke my heart. What a heady way to be introduced to Joe Hill's works. I have been meaning to pick up one of his books for a while, especially when I heard he happens to be the son of one of my favorites, Stephen King. Part of me wanted to do a sneaky little comparison to see who might be better. I would be fair about it, though. I wouldn't compare one book to all of what I've read from King so far. I'm very fair. I promise. And so, NOS4A2 is now on my shelf next to Elizabeth Kostova's The Historian, Stephen King's The Stand, Donna Tartt's The Secret History, George R.R. Martin's A Game of Thrones and a few others of my favorite books that I've reviewed on this site and loved. And true to form, Joe Hill has his father's knack of creating a universe and even intertwining it with Stephen King's world. With a nod to the evil gang of the True Knot from King's Doctor Sleep, Hill is stealthily building his own universe of inside jokes and connections that only a true fan can decipher. It's a fun club to be a part of, my friends. Therefore, I'd suggest you start reading Joe Hill sooner rather than later. You never be the one who has to catch up. Note: Hill ties up every end succinctly. Nothing is left hanging. But let me give you one tip: Read every page. That's right. Read the Acknowledgements and especially don't forget to read the last couple of pages about the font used for the book. I know. That sounds weird. But it's important. Don't skip. You wouldn't want to get on the "Naughty" list, right? FTC Disclosure: I gleefully, and selfishly, purchased this book so I could keep it all to myself. 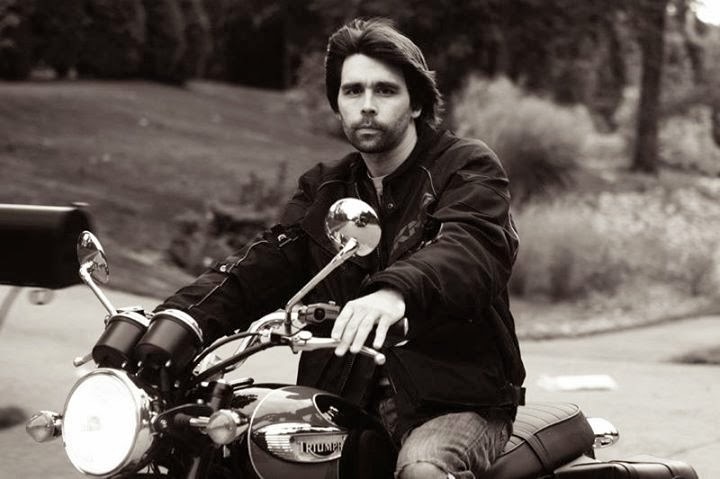 Joe Hill is the author of three novels, Heart-Shaped Box, Horns, and NOS4A2, as well as a prize-winning collection of stories, 20th Century Ghosts. He also wrote a pair of comics: Locke & Key and Wraith (which ties into the world of NOS4A2). He's been awarded an Eisner as well.